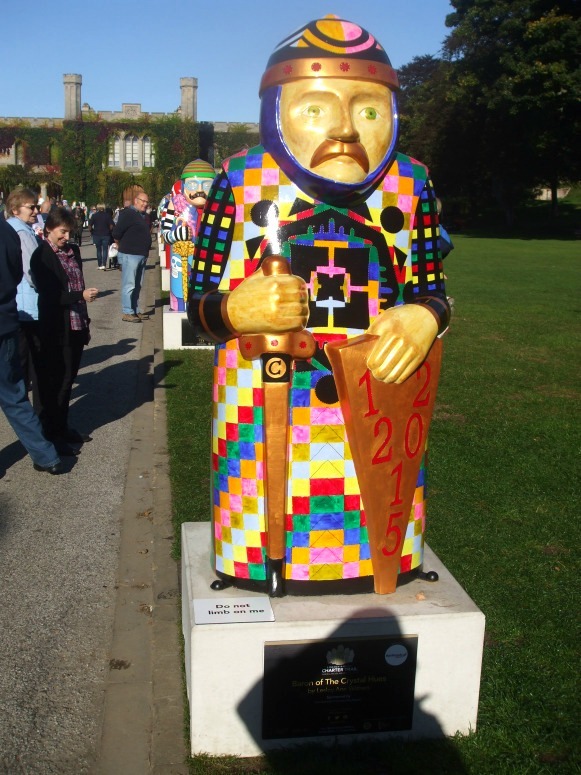 This event, held from Thursday, September 24th until Tuesday, October 1st, is a chance for people to see all 25 Barons together before they’re auctioned on the evening of October 1st. 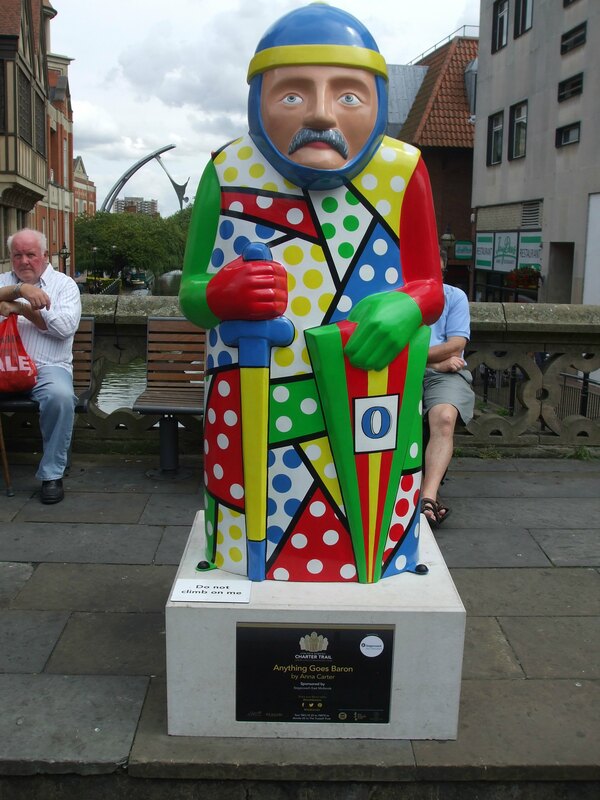 The money raised will go to the national charity, The Trussell Trust – who organised the construction and displaying of the Barons in the city, along with Lincoln BIG, a business improvement group. I wrote about the reason for ‘The Barons’ Trail’ in an earlier post but, in a nutshell, it was part of the city’s celebrations to mark 800 years since King John signed the Magna Carta (Great Charter) at Runneymede. One of the original copies of the Treaty is housed in Lincoln Castle, so the city was justified in hosting so many celebratory events. The Barons who ordered John to sign the Treaty are represented in these life-sized, smile-inducing models we are now saying ‘Goodbye’ to. Last week, they were gathered up from their different sites and I’ve no doubt that the area will look quite dull without them. They’ve been a big attraction for locals and tourists alike, the characterful barons and the ‘Trail’ proving to be one of the highlights of the Magna Carta anniversary celebrations nationwide. Children in particular found it great fun to find the code letter on each one in order to claim the promised bag of gold coins (gold paper-covered, chocolate ones, of course). A mini ‘Paint Your Own Baron’ can be bought at The Lincoln Visitor Information Centre (shown below in the wonderful old building located on Castle Hill, between the castle and the cathedral) and a competition to win a free mini model of a Baron is also up and running. And finally, every shop in the city centre will be given their own mini Baron to paint and decorate in time for the Christmas season. By doing so, they will be creating a Christmas Baron’s Trail. These mini characters, unlike their bigger brothers, will be harder to find. Many will be ‘ hiding’ amongst other items displayed in the windows of shops and businesses. I’ll probably do an update on the mini barons around Christmas. Hopefully, we’ll be able to find and photograph some of them in their hiding places. Until then, I’ve got a few more posts on Malta and other places we’ve visited this year to keep me going. Wow this is so cool! I love the history of the Barons as well as all of the fun stuff like the mini Barons and the contest to win one and the shops having one! This was a fun history lesson! Thanks teacher Millie! Love those barons. Will you be bidding for one? You’re absolutely right. Art has a great “feel good factor” about it, especially when it’s bright and colourful. Thanks, LT.
Lovely, wish I could get one. LOL! the life size one’s would be lovely but am afraid I won’t be able to come up there. Oh! Thank you so much Millie, but I’ll have to pass this time. I really appreciate the offer though. That’s OK. 🙂 I just thought you’d like to have a go at painting one. 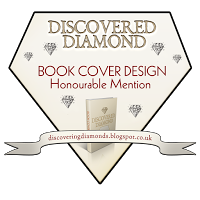 Wonderfully interesting history and pictures. “Paint your own Baron”: love it. Thank you for the most generous offer of a ‘mini baron’ but I think I will have to be satisfied with the ‘virtual baron’ for the time being. Hope your headache has subsided. I’m so far behind on posts and emails, not sure I’ll ever catch up. Thank you, Irina. I agree about the face – but all the Barons have the same face, just painted differently. Nick and I were only saying when we were photographing them that the facial expression is so miserable. The mouth is down-turned into a scowl, so I suppose it would be difficult to make them look happy.